Supporting over 600,000 stores, Shopify's customer service has to match the growth and breadth of its operations. 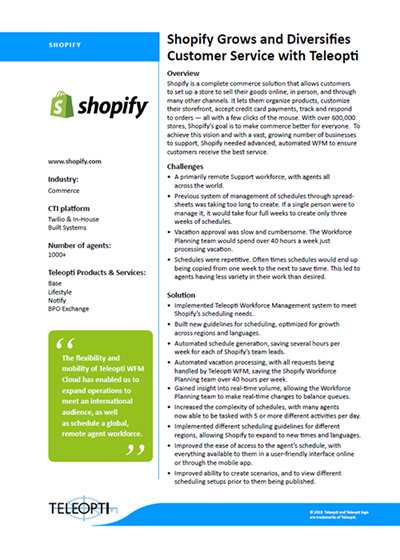 This one-page snapshot looks at how Shopify has used Teleopti WFM Cloud to solve and schedule the challenges of an international, remote agent workforce and expansion to new times and languages. Complexity needed to be embraced while simultaneously saving time on building schedules and processing agent requests.